The Jive is definitely suitable for college admissions promotional giveaways and job fairs. 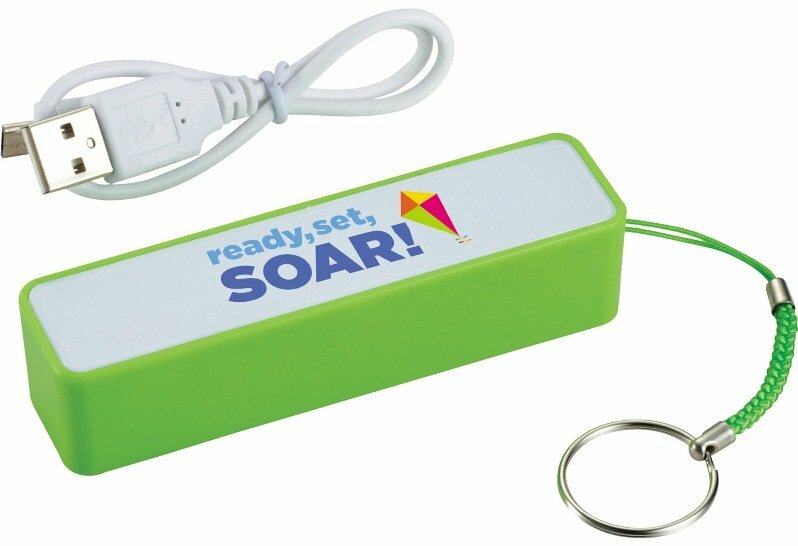 power source for Smartphones, attached key chain, white USB cable is included. Input: 5 V/500 mA. Output: 5 V/1000 mA. Stays charged up to 45 days. Approx. life 250 cycles. Red LED light displays while charging. Overall size 3 3/4 L x 1 W x 3/4 D. Individually gift boxed. Price includes a one color imprint one side area 2 1/8" w x 1/2" h.